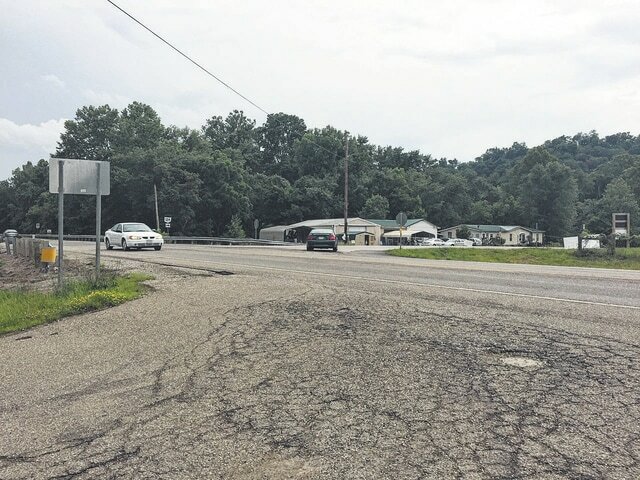 POMEROY — After being advanced one year earlier than expected, the Ohio Department of Transportation on Monday will begin the widening project at the intersection of State Route 124 and State Route 7 in Meigs County. The project consists of adding turn lanes and a traffic signal at State Route 124 and State Route 7, as well as realigning Township Road 196 and enhancing the Park and Ride entrance. One lane of traffic will be maintained at all times, except for a 21-day closure that will be determined later. Rose said no tentative date for the closure has been set, but added it will likely be near the end of summer. During the 21-day closure, ODOT can only reroute a detour on state and U.S. routes, but said he knows that locals will know the quickest and best detours. “Each project has to submit a kind of critical path for construction because, obviously, things change,” he said. The project gained groundwork thanks to Teresa Shiflet, of Pomeroy, who saw the amount of accidents happening at the intersection of State Route 7 and state routes 124 and 143. “I told (Rose) that in the time we’ve lived here, we’ve personally known five people who have died at 143, and there’s been more traffic volume at 124 and 7,” she said. Shiflet added that while she personally knew five people who died in that corridor, there are countless more. Rose said that the Ohio 143 project will take longer due to the need for an environmental study and right-of-way project development, but that there is enough room at the intersection of state routes 124 and 7 to add a turn lane and a traffic stop, making the Ohio 124 project easier and quicker. He added that having a stop light at the Ohio 7 and Ohio 124 intersection will help break up traffic and make it safer for people to pull out of side roads. The State Route 143 project will probably begin next year. Shiflet shared the same sentiment.